When we say welcome to our home, we genuinely mean it! Our family resides above the funeral home. This is where their family is raised, and allows them to continually be involved in every service that they handle. Families are always impressed to know that their loved one not be left alone in an empty building when the work day is done. 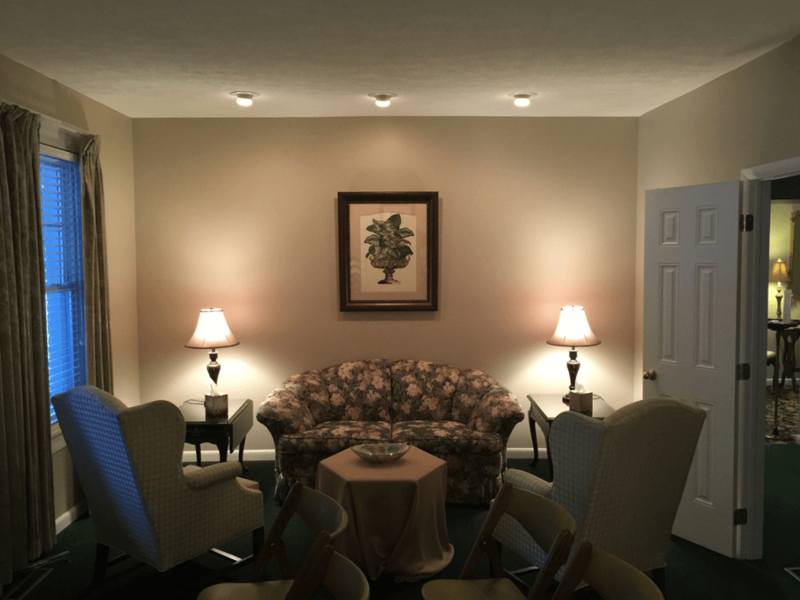 The funeral home level is designed to be an extension of our home, and has been re-decorated in soothing and calming colors, thus creating a very relaxed atmosphere. Our home has many amenities for the convenience of our guests. 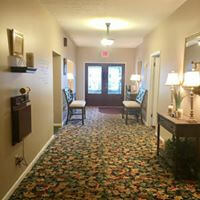 The facility is completely handicapped accessible with no steps anywhere on our main level. We feature several different seating areas throughout our main floor, as to give a more home-like feel to our guest areas. Many great conversations and memories are made in our living rooms and we want to help you bring back those times with our cozy couches and intimate areas. Our large chapel can seat up to 160 guests, and can be divided for the use of two visitations simultaneously. The fireplace and comfortable couches in the entry-way of the chapel immediately give the feel of a large living room setting. A large screen television rests atop a beautiful fireplace in the chapel to show our memorial DVD presentations which are made by us, in house. Our second chapel can accommodate more intimate gatherings with ease. 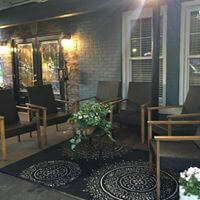 Here, we have a fireplace and comfortable seating areas. This room is also offered to our families after their return from the cemetery committal service or after a memorial service to use as a place to hold a family luncheon or refreshment time at no charge. One of our favorite places on the main floor is our sun room which is attached to the second chapel. It is enclosed space with a comfortable couch, chairs and lamps, and is a great place to relax when you need a few moments alone, or just to take a break. Our newly re-designed coffee & refreshment lounge is another inviting place for our families and their guests to relax in during visitation periods. Recently, we have installed a new counter space where you'll always find freshly brewed coffee, filtered water, soft drinks and snacks. We welcome our families to bring in any other food or drinks that they choose to. Additionally, we will provide cutlery, plates, cups, condiments and napkins. We provide a refrigerator and microwave for your convenience. This room attracts beautiful sunlight, and makes for a very welcoming and relaxing area when you need to take a break for the day's activities.